Abstract: Process-oriented therapies facilitate a natural trance-like state not easily distinguishable from hypnosis that shares much in common with the REM state. This paper describes a protocol for detection of P300 MERMERS and PGO wave-generation during Consciousness Restructuring or other process-oriented sessions. MERMERS indicate a psychological significance of the stimuli to the subject, whether that object is physical or imaginal. They may help us objectively document psychological shifts in internal states during therapy which lead toward spontaneous healing. During dreams PGO activity is interpreted by the brain as sensory stimulation. Through self- organizing dynamics, coherent dream experiences emerge from the influence of apparently unpatterned PGO stimulation. When the dreaming brain is free of external sensory patterns of neural excitation, it is subject to even subtle influences. PGO waves provide perturbation that keeps the dream narrative in motion, that produces bifurcations in attractor patterns, and leads to abrupt alterations in dream experiences. Likewise, PGO spikes may signal the bifurcations and content changes seen in consciousness journeys. PGO stimulation may be related to plot shifts during REM, and this is subject to potential verification with 128 channel EEG. In the prevailing medical model, nearly all research on the brain is in the language of neurotransmitters and psychotropic drugs, and not in that of frequency or of mental exercise or restructuring. This has been the prevailing conceptual framework. But there is much to learn about the generation of our complex internal states from the frequency domain. This is the process through which what matters to us psychologically is transformed in the very matter of our psychophysical self: what matters materializes. Electroencephalography (EEG) records minute, fluctuating potential differences between electrodes placed on the skull. This measure of frequency is relatively crude, but allows us a window into the excitability of the brain. If the neural substrate is intact, it can be retrained, and this is the basis of brainwave feedback and a healing channel for experiential therapy. Electrodes are placed on the scalp in an ordered array. Signals from the brain are amplified allowing the microvolt-level potential differences to be detected. The resolution of EEG is quite low, since the brain is about 1 cm from the surface of the scalp. The major distinctions of EEG include alpha, beta, theta, and delta activity. EEG is a measurement in the realm of frequency. The EEG machine is a neural amplifier. Frequency is the rate at which electrical charges move through brain cells. The four basic frequency ranges discriminate levels of arousal or excitability within the brain. In delta, the sleep state, signals are moving through clusters of neurons very slowly, just four cycles per second, or hertz (Hz). Just above that is theta, around 4 to 8 Hz, a deeply relaxed state. Next is alpha, a slightly less relaxed state, at 8 to 13 Hz. The most rapid brain waves [besides Gamma] are beta, and they reflect normal waking consciousness. Beta can be further classed as low beta, a relaxed but alert state of 12 to 15 Hz, to mid-range beta, around 15 to 19 Hz, up to an excited, hyper state of high-beta, which can range to 35 Hz. Depression is linked to underproduction of beta rhythms. Overarousal, an inability to unwind, may lead to drinking or drug taking to modulate arousal level. Anxiety attacks, hypervigilance, stress, and obsessive behavior are symptomatic of overarousal. Sensory motor rhythm (SMR) is a beta wave in the 12 to 15 Hz range of the EEG spectrum. It has been theorized that alcoholics drink because they cannot get into alpha states naturally and therefore cannot produce self-soothing neurotransmitters on their own. While PET and MRI are recorded over extended periods of time, EEG can detect and record the rapid changes in potential that occur in the active brain with millisecond temporal resolution. EEG can determine the time course of brain activation following a particular stimulus, faster than PET or MRI analysis. Data obtained over a particular time frame allows us to “follow” the processing of incoming information, as well as our brain’s response to this information. Changes in brain activity can also be observed during sleep. Sleep spindles are transient cortiocothalamic potential oscillations recorded as EEG transients within the 9-15 Hz band during sleep. Many neurons in the cortex and thalamus synchronize during certain stages of sleep. Nobody knows why they do it. In the Consciousness Restructuring Process imagery spontaneously arises which functions as an information-carrier and visual stimulus. Endogenous Evoked Potentials are related to the psychological significance of the stimuli to the subject. This reaction can be detected as a P300 response, that is identical when triggered with either visual or auditory information [or potentially any somatosensory channel] and is recorded most easily over the parietal cortex. The P300 response is called a MERMER (Memory & Encoding Related Multifaceted Electroencephalographic Response). This paper describes a protocol for their detection during the Consciousness Restructuring Process (CRP), and determination of their relationship to exogenous, or historical events, particularly of traumatic nature. Internally generated input via internal pattern generators would constitute an efficient way to specify, develop, and restructure functionally appropriate perceptual organization. A protocol is proposed and described to detect PGO waves during therapeutic sessions. The function of the PGO wave-generation network has been linked to informing the visual system about eye movements, promoting brain development, and facilitating the response to novel environmental stimuli. PGO waves are high amplitude electrical potentials which function as internal pattern generators. P300 waves and PGO waves may help us objectively document psychological shifts in internal states during therapy which lead toward spontaneous healing. Whatever persists with a constant form is sustained as the unfoldment of a recurrent and stable pattern which is constantly being renewed by enfoldment and dissolved by unfoldment. When the renewal ceases the form vanishes. The notion of a permanently existing entity with a given identity, whether a particle or anything else, is therefore at best an approximation. Consciousness may be seen as an explicate form sustained by continually converging and diverging waves unfolding from an unconscious field of psychic potential. This is a holographic projector of endogenous sensory imagery. The recurrent and stable pattern that unfolds during waking hours must be renewed during sleep by the enfoldment of waking experience into the seamless subtext of the unconscious. In this sense, Consciousness creates Reality. Human consciousness emerges from the all-pervading universal consciousness by a process similar to the collapse of a quantum waveform into the localized form of an observed particle. In this case, of P300 waves and PGO waves into neural firing patterns and chemical neurotransmitters which affect the entire mindbody. The process is intimately linked to information-carrying multisensory imagery and its recognition and transformation. There is evidence for different data processing for intensity and color. Light and darkness show no evidence of being opposites or different values of the same variable. They are rather the result of stimulating and also inhibiting different receptors, a 2-channel process. In no way, may they be viewed as positive and negative. Each has its own individual character. White appears as the result of the mutual inhibition of color. At this fundamental level, results clearly imply an inherent form of organization and not a random learning of nerve nets. According to Manfred Clynes, it is clear that every stimulus form corresponds to a particular space-time shape in the brain in terms of the electrical activity. These space-time shapes are evidence of relationships between the external world and its representation in the brain. Thus, different representations are spatio-temporal “keys.” This has tremendous implications for experiential or process-oriented therapy. Replication and amplification of Clynes experiments could shed great light on the transformations reflected in endogenous evoked potentials. In general, psychologic thresholds seem to parallel physiologyic threshold observations as determined by evoked potentials. Often evoked potentials forms can even be observed below psychologic threshold levels--at “subliminal” levels. Clynes asserts that all the perceptual characteristics of sound, for example, have their counterparts in the coding of evoked-potential shapes -- in brain space-time. Again, the implications for experiential therapy and bioengineering are numerous. In all these processes it is not individual brain centers but regions that operate in an organized manner. Every perception has a unique counterpart as a space-time code form in the brain. They are identical among subjects for certain organizational characteristics. For example, the case of the color red, the number of regions, the sequence, and their timing are identical. This organizational identity may be the basis of similarity of individual perceptual experience, and perhaps the “archetypal attractors,” a robust, recurrent and persistent CRP phenomenon. In all probability, the organization of vector potential is based on the mathematics of Synergetics, nature’s most economical lines of communication, the lines of least resistance. REM indicates an increase in the excitability of the brain’s internal communication system between cortices of the brain. This communication occurs by synchronous firing of action potentials, electrical vectors, or evoked potentials. For example if an internal stimulus occurs a synchronous PGO wave should fire in the auditory cortex. External sensory pathways are inhibited during REM sleep. Therefore, the intensity for producing synchronous PGO waves in, for example, the somatosensory cortex are relatively small compared to full waking states. The communication in the brain during REM sleep is what we call dreaming. REM is associated with theta waves, rapid eye movement, phasic activation of the visual pathway, muscular paralysis or inhibition of sensory input, activation or inhibition of various brain stem neurons, and cortical desynchrony. REM sleep is not necessary for dreaming. However, the prevalence of dreams is certainly greater in REM. An intense level of activation in the brain, REM dreams are longer, more vivid and more emotionally charged than non REM reports, which are more realistic and thought-like ruminations. The dreamer is easily aroused if necessary and will appear fairly alert and attentive. They may report a narrative-type dream. A complete sleep cycle is about 90 minutes long and each cycle contains a 20-30 minute period of REM. The purpose of REM is related to learning. There is more REM after learning, implying it may be memory processing. Research suggests that retention from learning sessions comes from phasic components, namely the number and frequency of REM episodes. The results emphasize the importance of the phasic components with regard to memory processes. This process deepens during slow wave sleep which contributes to memory consolidation by transferring information from the hippocampus obtained in the waking state, to the neocortex by means of fast sharp wave bursts, called SPW. Sharp waves are intermittent bursts of activity (200 Hz) during slow wave sleep by neurons sending output from one part of the cortex to another. Researchers (Buzsaki & Solt, 1995) think the SPW bursts may be transferring information from experience into memories. Conversely, REM sleep may serve to update the information in the hippocampus which can be trasferred back into the neocortex during the next slow wave sleep period. SPW bursts have also been shown to activate growth hormone release which initiates long term, protein dependant, synaptic modification. Hobson gives a plausible model of a neurophysiological explanation for the dreaming process, implicating the brain stem as the location of the “dream state generator.” In this theory, the brain stem produces REM periods, as well as triggering the dream state. During these REM periods, sensory input and motor output is blocked, while the cerebral cortex is activated by the complex impulses received from the brain stem. The forebrain proceeds to process and synthesize the internally generated information from the brain stem. This series of activation and synthesis creates the imagery we experience in the dream state. The forebrain receives the chaotic signals from the brain stem and begins to assimilate the information into a coherent pattern. The concept of central pattern generators implies preprogrammed neural information produced by the brain stem during dream states. This process may ultimately create the internally generated behaviors such as visual and auditory hallucinations. The link between the behavior and the pattern generator is not direct since the forebrain plays an important role both in creating and synthesizing images. The forebrain integrates or couples this chaotic genetically programmed information with the appropriate experiential data contained within its memory banks. The neuronal genesis of dreaming is linked to the reciprocal interaction of neuromodulatory system in the brain stem. Neuronal bursts propagate through and phasically activate the genculate bodies in the thalamus, and the visual cortex. The propagation through these three bodies can be experimentally measured and are refered to as PGO waves. The paradigm of “dynamic stabilization” (DS) posits that synaptic efficacy in neural circuits stores inherited information (phylogenetic memories) and information acquired during experience (ontogenetic information). This is facilitated or enhanced by frequent synaptic activation (“use it or lose it”). This occurs either in the course of frequent functional use or through spontaneous oscillatory neural activity. Genes that normally are unexpressed, that mediate the synthesis of new messenger RNA and proteins, become activated--within a very narrow time window during learning--leading to alterations of synaptic efficacy that last for a few weeks to a month or more. Ernest Rossi (2000) has conducted research on gene-expressed proteins and state-related learning: There are persistent alterations in IEG expression in the process of adaptive behavior on all levels from the sexual and emotional to the cognitive. They can transduce relatively brief signals from the environment into enduring changes in the physical structure of the developing nervous system as well as its plasticity in the form of memory and learning throughout life. If external cues can modulate cell function through regulation of gene expression, this could also be true for internal cues. Immediate-Early Genes (IEGs) are also fundamental in the regulation of REM-on, REM-off neurons, neuronal networks that are associated with REM sleep and dreaming. That makes them significant in CRP as molecules which can modulate mind, emotions, learning and behavior. They influence the rhythm of the natural healing process and circadian and ultradian rhythms of the body, in general. Rossi generalizes the dream-protein hypothesis, “to include all states of creativity associated with the peak periods of arousal and insight generation in psychobiologically oriented psychotherapy.” Enriched internal and external environments leads to the growth and development of new cells. IEG cascades lead to the formation of new proteins and neurons along with increased synapses and dendrites that encode memory and learning. On the other hand, excessive trauma and psychosocial stress can lead to suppression of growth processes in the brain. When psychotherapy contributes to arousal, enrichment, and relaxation it facilitates actual growth in the brain to encode new memory, learning and behavior, optimizing growth and healing. Memories are catagorized as declarative memory or nondeclarative memory. Declarative memory involves conscious recollection and explicit remembering of facts and events. Nondeclarative memory concerns behavioral changes acquired implicitly after many repetitions, such as in life=changing experiences, repetitive or chronic traumatization, skill learning, perceptual learning, conditioning, etc. Permanent consolidation of declarative memory involves hippocampal input to the neocortex, which must be replayed for 1 to 3 years, in so-called “recall episodes,” much as in the initial experience. This phenomenon of “recall episodes” may be related to the value of recalling both dream and real-time memories in CRP experiential therapy, rather than wakeful talk therapy. Hypothesis: That the CRP journey process changes basic neural circuitry patterning. That this change in patterning is associated with subsequent neuromodulation, changes in the functioning of the pineal and the pituitary glands affecting the production of neurotransmitters and hormones. That we should be able to monitor and determine correspondences in certain psychophysical changes during the CRP process if our theories about the origins of certain robust phenomena in the journeys are correct. We can monitor the brain wave generation of a person during the Consciousness Restructuring Process to detect certain predicted shifts. Our theory contends that the journey process takes place largely in REM, since the related rapid eye movement is easily and consistently observed. The onset of REM is marked by PGO spikes. PGO spikes in EEG in a subject immersed in CRP would indicate the onset of REM. PGO spikes are also implicated in the radical shifts in content during dreaming. If we can show that PGO spikes occur in relation to bifurcations in gestalt imagery in CRP journeys, we can verify those subjective internal shifts as psychophysical. In chaotic consciousness the mentored is likely to be focused or very deeply internalized which should be reflected as either theta or delta activity. Co-consciousness might be measured via the observation of spontaneously shared, matching or resonating brainwave frequencies, and might be induced by shared biofeedback where both parties synch to the same deepening rhythm. 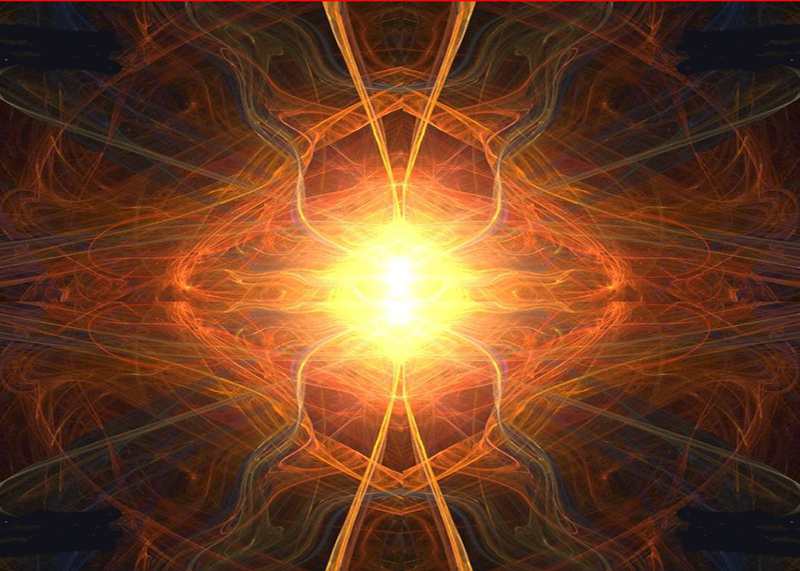 This resonance creates, in essence, one shared biofield between mentor and mentored, in which synchronicity and ESP phenomena are spontaneously evoked. P300 waves can be observed in relation to the journeys to determine if psychologically significant imagery will trigger this objective sign of recognition. This is particularly to be expected if their significance is rooted in real-time historical experience, rather than inherent meaning of archetypal forms. When the two are combined, the memory of an archetypally-conditioned event, we might expect a very intense reaction, larger spikes, or wider cortical involvement. P300 waves indicate pattern recognition. Information is encoded in a field, rather than just being a field. The firing of neural networks is synchronized by fields. Neuronal field patterning could be considered a gestalt. Idiosyncratic experiences are encoded as gestalts. Epistemological metaphors, “how you know what you know,” what that experience is like, are multisensory gestalts. This imagery presents spontaneously as a fundamental phenomenon of human existence which includes a rich inner life. This is the raw material of the therapeutic process--the expression of the existential psychophysical condition. This imagery also reflects disease patterns which echo at every level of observation. CRP is a process of perceptual synergetics, whose result is greater than the sum of its parts. Potential applications include stress management, balancing personality, restructuring neural circuitry, memory increase, changing habit and behavior patterns, spontaneous healing, autohypnosis, and self-transformation. A protocol is proposed to determine the electroencephalographic correlates of key bifurcation points in the Consciousness Restructuring Process (CRP). The process begins with the recounting of a dream or fragment, “becoming” a part of the dream, immersion in the stream of consciousness, onset of REM, followed by a series of bifurcations in imagery and narrative, resulting in progressive deepening of the subjective state, amplification and resolution of conflicts, and a resting phase of renewal, learning, and restructuring. Equally important with pattern recognition is pattern synthesis. The synthesis process plays an important role in the use of context in recognition. Rhythmic activity in the adult neocortex, as revealed by EEGs, is pervasive at all times and can be recorded electrically. Brain waves manifest themselves as oscillating voltage. They have two main dimensions: the frequency of oscillation and the amplitude. In highly aroused and attentive waking states, the EEG consists of low amplitude fast waves (14-30 Hz), the beta rhythm. In a quiet room, at rest, on closing the eyes, the beta rhythm gives way to primarily high amplitude, synchronized slow waves (8-13 Hz)--the alpha rhythm. This rhythm is blocked by sudden sensory stimuli or mental activity. The observation that some individuals come out of the journeys virtually unable to move, and still very groggy and confused, leads us to believe they must experience delta activity or "slow wave sleep" by the culmination of the journey. Reporting internal states at this point becomes literally a mute point. Just being there and later assimilating, digesting, and restructuring yields to rejuvination and reentry. PGO spikes occur widely in warm-blooded animals. Theta is probably the best model we have for the shared nature of co-consciousness. Though it generally indicates a deep sleep, it is possible to remain awake and even interactive in the journey process with the mentored. If both participants are in Theta in close proximity, we can assume a resonance effect where both tend to come into oscillatory harmony with one another, in a deep focus of attention. Stanley Krippner has suggested the reality of Dream Telepathy (1973) in his research on the subject, and we suggest this is the mechanism of co-consciousness in mentoring the Consciousness Restructuring Process. Spontaneous ESP results were reported by the Greens in their experiments in Theta Training, imagery and creativity exploring hypnagogic reverie (1977). Sensory input information for each mode converges in the entorhinal cortex, where it receives its most refined analysis, as well as back to the appropriate thalamic neurons. Each sensory system also sends inputs to separate parts of the amygdala, which interprets incoming sensory information and integrates neuromodulatory influences on the storage and strengths of longterm memories, particularly those that are emotionally influenced. From the amygdala and entorhinal cortex information is relayed to the hippocampus. Thus, if a single perceptual event is formed by the roughly simultaneous receipt of ensembles of sensory inputs, the highest order of perceptual abstraction of these sensory inputs, together with an emotional association, are presented to the hippocampus for processing. From the hippocampus, information is relayed to other limbic structures and then directly and indirectly back to the neocortex. Cognitive science implies that dreaming is "the occurrence of inconsequential phasic events of REM sleep". But dreams are consequential. They change us at the most fundamental psychophysical level. The evanescent, prophetic and diagnostic nature of dreams has been heralded since the dawn of history. Pre-sleep emotional states are a by-product of, and tightly linked to, mental activities normally occuring during REM sleep. The consolidating and reinforcing, or restructuring of neural circuits storing memories is not limited nor restricted to the activities of REM sleep. According to Kavanau, "dreaming is a very short-term unconscious awareness of manifestations of processes of activating selected ensembles of labile ontogenetic memory circuits (say younger than 3 years) to render them stable, and of stable phylogenetic and ontogenetic memory circuits (say, older than 3 years) to maintain them."